The Leaky gut syndrome is becoming an increasingly common problem in the western world. The condition often goes undiagnosed by medical doctors, causing long-term gut discomfort and fatigue, as well as a myriad of other negative health conditions. The problem with seeking help for leaky gut syndrome lies in its diagnosis. It’s hard to differentiate leaky gut syndrome from other conditions like irritable bowel syndrome, chronic fatigue syndrome, Celiac disease, and food intolerances. Patients often spend thousands of dollars on expensive testing and medications before they’re able to reach a conclusive diagnosis. Even still, many doctors refuse to diagnose leaky gut syndrome because of our poor scientific understanding about the condition. The medications available for treating leaky gut syndrome are hard to prescribe correctly and are often ineffective. The reason for this has to do with the mechanisms behind the condition itself, which are highly variable and often complicated by other symptoms created by the condition. This is why many people suffering from leaky gut syndrome seek out alternative ways to protect the crucially important epithelial lining of their gut and treat the leaky gut syndrome. One of the most promising methods for treating this complex condition is through the use of probiotics. The Leaky gut syndrome is the combination of symptoms including inflammation, pain, fatigue, and an intestinal hyperpermeability. The key symptom here is intestinal hyperpermeability. In order to understand what leaky gut syndrome is, and how it might be fixed, it’s important to understand what this intestinal hyper-permeability is, and how it develops. Let’s start by breaking the term down first. In medical terminology, the word hyper- means “too much” and the word permeability refers to the movement of molecules across a membrane. In effect, the term intestinal hyper-permeability means that too many molecules are able to permeate or move across the intestinal lining into the bloodstream. In a healthy gut, food is broken down into the smallest particles possible by enzymes secreted by our liver, pancreas, and stomach, as well as through the support of a healthy gut microbiome . Proteins become amino acids, fats become fatty acids, and carbohydrates are broken down into individual sugars. These tiny particles are then absorbed through the gut lining through special spaces between the cells known as “gap junctions”. The gap junctions help to ensure that water-soluble components are delivered to the bloodstream, and the fat-soluble components are packaged up and sent to the fatty lymph fluid instead. While all of this is happening, the healthy intestinal lining remains impermeable to larger molecules, bacterial endotoxins, and other damaging pro-inflammatory molecules. The epithelial tissues forming the intestinal tract cooperates with and a thin layer of healthy bacteria known as the microbiome. This is a highly complex cooperation between the epithelial cells of the intestinal tract, the microbiome, and the gap junctions . When the gut becomes damaged by a loss of the protective microbiome, inflammation, and widening of the gap junctions between the intestinal cells will result. Once compromised, a weak and inflamed intestinal barrier will allow much larger molecules to find their way across the gut lining. These molecules may include intact proteins, bacterial and fungal endotoxins, and lipids . Some of these unwanted molecules can mimic our hormones, oxidize our blood vessel walls, or trigger inflammatory immune responses throughout the body. Any of these side effects can lead to serious consequences if allowed to persist. . Without a protective layer of beneficial bacteria, tight gap junctions, and healthy epithelial tissue, fatty substances are able to enter the bloodstream directly, leading to hypertriglyceridemia and increasing the chances of cardiovascular damage and metabolic disease. Additionally, it allows the passage of large, pro-inflammatory molecules to find their way into systemic circulation and gives malicious bacteria, viruses, and parasites the opportunity to enter the bloodstream to invade distant areas of the body with minimal effort. The wide range of negative effects that follows a poor gut membrane is what makes this condition have so many different symptoms, and is the reason it’s so hard to diagnose. It depends on what you eat, and what stage the intestinal damage has reached that determines the side effects. In many, molecules leaking through the gut trigger systemic immune response, resulting in inflammation, fatigue, and lowered immunity. In some foods like milk, large proteins leak through the gut membrane and mimic neurotransmitters in the brain. This can cause our cognitive capacities to decline, producing what we know commonly as “brain fog”. 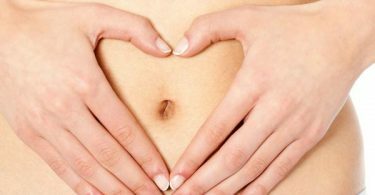 What Are The Dangers Of Leaky Gut Syndrome? Increased gut permeability has been shown to lead to endotoxemia as toxic waste products and infectious molecules circulate the bloodstream which eventually leads to organ failure in the form of kidney failure, or cirrhosis of the liver [1-3,6]. Additionally, conditions including, circulatory dysfunctions , metabolic syndrome, diabetes, cardiovascular disease, Parkinson’s disease and alcoholic liver disease have all been shown to have a correlation with leaky gut syndrome [8-14]. This is why the diagnosis and treatment of leaky gut syndrome are of utmost importance before these long-term, harmful implications begin to present. The causes of the leaky gut syndrome can vary and are highly debated within the scientific community. Studies have shown correlations with a series of health conditions ranging from liver disease to autoimmunity. Whether these conditions themselves are the cause of a leaky gut or are the result is not well understood. One of the most agreed-upon theories regarding the pathophysiology of leaky gut syndrome begins with gut dysbiosis (loss of, or imbalance of the healthy gut microbiome), which can be the result of poor dietary choices, frequent antibiotic usage, or chronic alcoholism. From here, the intestinal cells become exposed and unprotected while at the same time digestion becomes decreased due to lowered microbiome activity. This is further worsened when the spaces once filled with beneficial microbes become colonized by malicious bacteria or fungi. These microbes are often considered malicious because they secrete destructive, pro-inflammatory endotoxins into their surrounding environment. This creates a state of inflammation among exposed intestinal tissues and causes the gap junctions to weaken. If this condition isn’t corrected, the gap junctions can degrade to the point of failure, allowing these bacterial endotoxins among other molecules to transfer freely from the intestinal tract into the bloodstream . As this process begins, it tends to worsen itself. As irritating compounds leak from the gut, the immune system attacks them, resulting in more inflammation, and further damaging the intestinal lining. Stress responses increase, which itself has been shown to damage the microbiome . Health conditions like metabolic syndrome, liver cirrhosis, diabetes, Parkinson’s disease, Multiple sclerosis, rheumatoid arthritis, and other correlating illnesses are likely the result of systemic insult by pro-inflammatory endotoxin interaction and/or bacterial or viral infection from a leaky gut. The Leaky gut syndrome is not considered a medical “condition” per se, rather, as the name implies, it’s a syndrome. The difference is that rather than having a specific mechanism and physiological process, the syndrome is characterized by a set of symptoms that are commonly found together. It can be very complex, and to this day medical science is making slow progress towards figuring out the specific mechanisms for this debilitating and chronic syndrome. Our bodies are home to more than a trillion tiny organisms that make up what we know as the microbiome. This is a large, diverse colony of bacteria and fungal cells that work together to break down nutrients in our body, keep our gut lining intact, and even produce some of our neurotransmitters. Probiotics are a class of supplements and food that specifically support the microbiome, usually through the intake of known beneficial organisms like Lactobacillus spp. When we consume probiotics, we are in effect “inoculating” or “planting” our intestinal tract with beneficial microbes. This is useful anytime, but especially after there has been damage to the microbiome like after a course of antibiotics or with conditions like leaky gut syndrome. As mentioned earlier, the microbiome plays a significant role in the functioning of a healthy gut lining. It creates a thick coat of bacterial cells that keep the gut lining moist, and aids in the breakdown of proteins, fats, and carbohydrates before they are absorbed into the body. The microbiome also works to kill malicious bacteria and viruses, preventing us from getting sick every time we eat a meal. Gut dysbiosis is the medical term for an unbalanced or damaged microbiome, which has been closely linked with the development of leaky gut syndrome . As the microbiome becomes depleted, it opens up the new real estate for malicious bacteria and fungus to grow and leaves our gut epithelial cells open and vulnerable to damage. Over time, these cells break down and become hyper-permeable, leading to the symptoms we know as a leaky gut syndrome. The first step to correcting this problem therein lies in restoring the gut microbiome. No matter what we do to lower the inflammation of the gut lining, or tightening the cells of the gut to reduce permeability, the problem will persist if we don’t build up the protective layer of bacteria. This is where probiotics come in. By ingesting probiotics, you’re essentially inoculating the gut with these healthy bacterial species with the goal of creating self-sufficient and biologically diverse colonies of bacteria throughout your intestinal tract. Over time these colonies will form a thin biofilm across the damaged intestinal patches, which can then be restored to a functioning state of health once again. It all starts with the microbiome! Now that we understand the benefits of probiotics for the leaky gut syndrome, it’s helpful to discuss some of the best products currently on the market for achieving this. 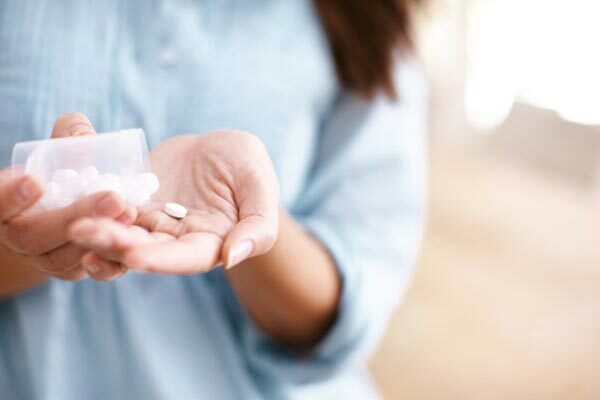 Not all supplements are the same, and there are a surprising amount of probiotic supplements out there that contain little to know live cultures which will ultimately do nothing to help the gut. NatureWise has put together this slow release, high potency probiotic to gradually release live bacterial cultures as it passes through the digestive tract. This probiotic contains 10 different probiotic species and 50 billion live cultures per dose. To help with the common issue of transporting probiotics without refrigeration, Renew Life packages each culture with more cultures than they advertise. Is Kefir Good For A Leaky Gut? Kefir is a cultured milk product often touted as one of the most probiotic-rich foods on earth. It offers the unique probiotic culture known as Lactobacillus kefir, which has been shown to inhibit the growth of gut-damaging bacterial strains like Salmonella and H. pylori , both of which have been implicated in the development of leaky gut syndrome . On top of this, kefir contains several other Lactobacillus strains, many of which have been shown to offer a similar benefit to restoring healthy diversity to the microbiome. .
Can I Take Too Much Probiotics? One of the best things about probiotics is that it’s nearly impossible to overdose on them. The bacterial cultures present in probiotics that don’t colonize the intestinal wall are either broken down and absorbed as nutrients, or washed through the digestive tract. Nothing in these supplements are innately toxic or damaging, which is why it is so hard to overdose. That said, it’s important that the microbiome is as diverse as possible, meaning that the goal is to have many different species growing in harmony rather than a single species living throughout the entire gastrointestinal tract. Since most probiotics contain anywhere from 1-20 different species, it is important to choose products that have as many different species as possible and to remain within the recommended dosages listed on the bottle. Despite being nearly impossible to overdose on, probiotics can cause some minor gastrointestinal upset if taken in too high amounts. Ramos, A. R. L., Matte, U., Goldani, H. A. S., Oliveira, O. L., Vieira, S. M. G., & Silveira, T. R. D. (2010). Intestinal permeability assessed by 51Cr-EDTA in rats with CCl4-induced cirrhosis. Arquivos de Gastroenterologia, 47(2), 188-192. Scarpellini, E., Valenza, V., Gabrielli, M., Lauritano, E. C., Perotti, G., Merra, G., … & Ghirlanda, G. (2010). Intestinal permeability in cirrhotic patients with and without spontaneous bacterial peritonitis: is the ring closed?. The American journal of Gastroenterology, 105(2), 323. Lee, S., Son, S. C., Han, M. J., Kim, W. J., Kim, S. H., Kim, H. R., … & Shin, M. G. (2008). Increased intestinal macromolecular permeability and urine nitrite excretion associated with liver cirrhosis with ascites. World journal of gastroenterology: WJG, 14(24), 3884.
in patients with cirrhosis. Eur J Gastroenterol Hepatol 2005;17:27–31. Anderson, J. M., & Van Itallie, C. M. (1995). Tight junctions and the molecular basis for regulation of paracellular permeability. American Journal of Physiology-Gastrointestinal and Liver Physiology, 269(4), G467-G475. Nolan, J. P. (2010). The role of intestinal endotoxin in liver injury: a long and evolving history. Hepatology, 52(5), 1829-1835. Turner, J. R. (2009). Intestinal mucosal barrier function in health and disease. Nature reviews. Immunology, 9(11), 799. Creely SJ, McTernan PG, Kusminski CM, Fisher f M, Da Silva NF, et al. (2007) Lipopolysaccharide activates an innate immune system response in human adipose tissue in obesity and type 2 diabetes. Am J Physiol Endocrinol Metab 292: E740–747. Forsyth CB, Shannon KM, Kordower JH, Voigt RM, Shaikh M, et al. (2011) Increased intestinal permeability correlates with sigmoid mucosa alpha-synuclein staining and endotoxin exposure markers in early Parkinson’s disease. PLoS One 6: e28032. Keshavarzian A, Farhadi A, Forsyth CB, Rangan J, Jakate S, et al. (2009) Evidence that chronic alcohol exposure promotes intestinal oxidative stress, intestinal hyperpermeability, and endotoxemia prior to the development of alcoholic steatohepatitis in rats. J Hepatol 50: 538–547. Keshavarzian A, Holmes EW, Patel M, Iber F, Fields JZ, et al. (1999) Leaky gut in alcoholic cirrhosis: a possible mechanism for alcohol-induced liver damage. Am J Gastroenterol 94: 200–207. Lassenius MI, Pietilainen KH, Kaartinen K, Pussinen PJ, Syrjanen J, et al. (2011) Bacterial endotoxin activity in human serum is associated with dyslipidemia, insulin resistance, obesity, and chronic inflammation. Diabetes Care 34: 1809–1815. Niebauer J, Volk HD, Kemp M, Dominguez M, Schumann RR, et al. (1999) Endotoxin and immune activation in chronic heart failure: a prospective cohort study. Lancet 353: 1838–1842. Zhang R, Miller RG, Gascon R, Champion S, Katz J, et al. (2009) Circulating endotoxin and systemic immune activation in sporadic amyotrophic lateral sclerosis (sALS). J Neuroimmunol 206: 121–124. Summa, K. C., Voigt, R. M., Forsyth, C. B., Shaikh, M., Cavanaugh, K., Tang, Y., … & Keshavarzian, A. (2013). Disruption of the circadian clock in mice increases intestinal permeability and promotes alcohol-induced hepatic pathology and inflammation. PloS one, 8(6), e67102. Zhu, R., Chen, K., Zheng, Y. Y., Zhang, H. W., Wang, J. S., Xia, Y. J., … & Zhang, Y. (2014). Meta-analysis of the efficacy of probiotics in Helicobacter pylori eradication therapy. World Journal of Gastroenterology: WJG, 20(47), 18013. Carasi, P., Díaz, M., Racedo, S. M., De Antoni, G., Urdaci, M. C., & Serradell, M. D. L. A. (2014). Safety characterization and antimicrobial properties of kefir-isolated Lactobacillus kefir. BioMed research international, 2014. Tlaskalová-Hogenová, H., Štěpánková, R., Kozáková, H., Hudcovic, T., Vannucci, L., Tučková, L., … & Klimešová, K. (2011). The role of gut microbiota (commensal bacteria) and the mucosal barrier in the pathogenesis of inflammatory and autoimmune diseases and cancer: contribution of germ-free and gnotobiotic animal models of human diseases. Cellular and Molecular Immunology, 8(2), 110. Leite, A. M. D. O., Miguel, M. A. L., Peixoto, R. S., Rosado, A. S., Silva, J. T., & Paschoalin, V. M. F. (2013). Microbiological, technological and therapeutic properties of kefir: a natural probiotic beverage. Brazilian Journal of Microbiology, 44(2), 341-349. Moloney, R. D., Desbonnet, L., Clarke, G., Dinan, T. G., & Cryan, J. F. (2014). The microbiome: stress, health, and disease. Mammalian Genome, 25(1-2), 49-74. 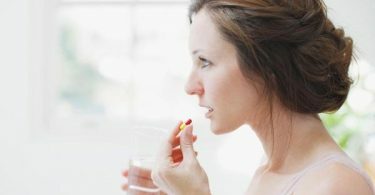 Probiotics for women, and what are they? Justin started his medical studies as a paramedic in Canada. Upon graduation, he spent some time working at a healing centre in the Amazon rainforest and discovered the incredible potential plants offered as medicine. He then packed up and moved to Australia to pursue a Bachelor of Health Sciences in Western Herbal Medicine.